For the past two years I’ve been lucky enough to have the fabulous Nell Peters write end of the month blogs for me. Let’s see what she has in store for us as May winds to an end. Good morning! And how are we today? 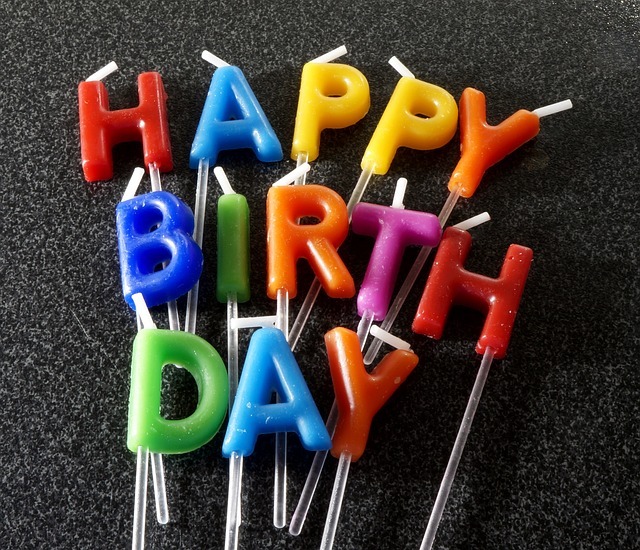 Back again – and on the second anniversary of my guest blogs for Jenny. I’m very soon going to run out of things to rattle on about! On this day in 1902 Australia were all out for 36 v England at Edgbaston, their lowest ever cricket score. 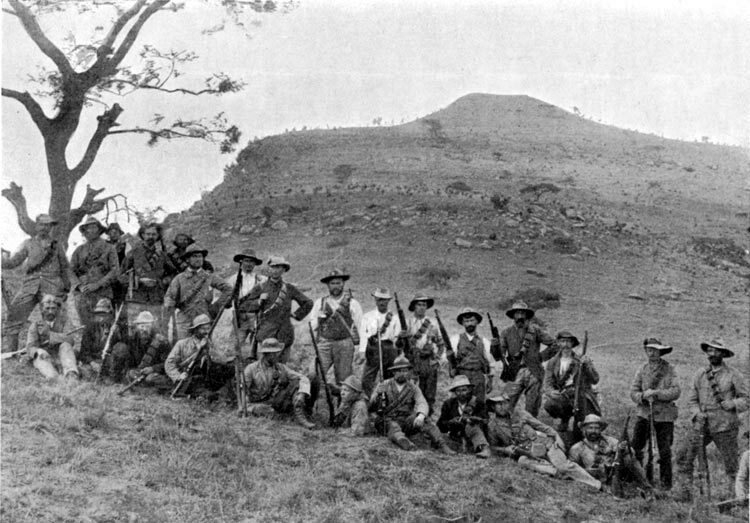 Elsewhere, the Second Boer War ended after two years, seven months, two weeks and six days – the first having lasted but four months. The British Army was reinforced by volunteer contingents from the Empire, including Canada, Australia, New Zealand, the Cape Colony and Natal and wisely no longer wore ‘here-I-am-feel-free-to-shoot-me’ red uniforms. This was thanks to Lieutenant Harry Lumsden of the Corps of Guides, who was the first British officer to provide his men with practical working garments when he served in India in 1846. He had white cotton dyed with mud so that when they dried, the uniforms blended in with the surrounding landscape – this became known as khaki, Hindi for dust. The Boers (Boer being the Afrikaans and Dutch word for farmer – I’m such a linguist!) were adept at guerrilla warfare and wore no uniform at all, so they were hard to spot amongst farming communities, where they found places to hide, horses and supplies. Brutally, the British solution to that was a ‘scorched earth’ policy of burning down or destroying farmhouses, crops etc. and rounding up the inhabitants of the countryside to be held in segregated concentration camps, often under horrific conditions. Many thousands – mostly women and children – died during their incarceration. 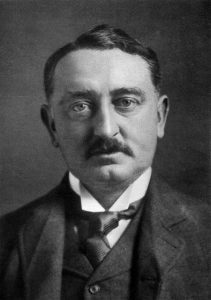 Ardent imperialist Cecil Rhodes didn’t live to see the British victory at the end of the war, having died a few weeks beforehand on March 26th. Rhodes was a British-born financier, statesman, and empire builder who was Prime Minister of Cape Colony from 1890 to 1896. He also co-founded the now global diamond company, De Beers with Charles Rudd in 1880, so called after the De Beers brothers who originally owned the land where the diamonds were mined. Next (1887) came the purchase of the Kimberley Central Mining Company, to form De Beers Consolidated Mining Ltd. 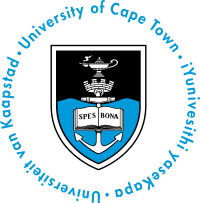 The OH was born in the UK but spent his formative years from the age of ten in Johannesburg, where he went to the Marist Brothers Independent Catholic Day School, along with one of the De Beers sons. 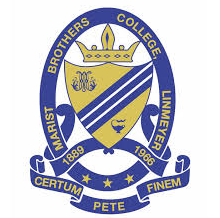 The Marist Brothers were apparently a mean bunch with a penchant for corporal punishment at the drop of a hat, and I don’t think he’s been inside a Catholic church since he left. In fact, churches generally give him the creeps and he has to be dragged, screaming, to weddings and funerals. 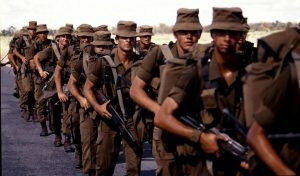 In between school and uni, he was conscripted into the SA Army for two years’ National Service, where he joined the Paras and had to learn Afrikaans mighty quickly. Unfortunately, his jumping career was cut short when he fell awkwardly on an old ankle injury (motor bike accident) and spent a few weeks in hospital. Thereafter he was sent for duty in the Townships and the Angolan Bush, where he spent his twenty-first birthday and slept through a mortar attack on the camp (not on the same day, I’m guessing). When out on patrol in the Bush, troops weren’t allowed to wash or clean their teeth lest the scent was picked up by enemy forces. Scary stuff, and a swift education in what apartheid really meant to those who weren’t lucky enough to be white and comparatively wealthy. He never really came to terms with the regime, left uni after less than a year and returned to the UK. He still has his red beret, though thankfully doesn’t wear it Frank Spencer-style. 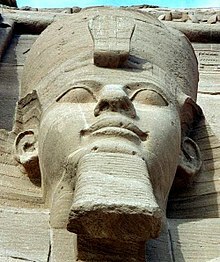 Of course, we all know that Ramesses II, also known as Ramesses the Great, became Pharaoh of Ancient Egypt (19th Dynasty) on this day in 1279 BC, but what else has happened? Let me see … Jerusalem’s rabbi Sjabtai Tswi proclaimed himself the Messiah in 1665 – the guy must have had an ego the size of Mars: the planet, not the chocolate bar. Almost two hundred years later in 1853, Elisha Kane’s Arctic expedition left New York aboard the good ship Advance – any relation, Jenny? Kane was an American surgeon and explorer making his second trip to the Arctic, but had to abandon the icebound vessel on May 20 1855. The crew marched for eighty-three days to Upernavik, carrying their sick and wounded and remarkably lost only one man. They were saved by a handy sailing ship and Kane returned to New York on October 11 1855. The following year Kane published his two-volume Arctic Explorations, before he sadly died in Havana ten days short of his thirty-seventh birthday. In 1861, on the same day that the Mint in New Orleans was decommissioned, General Pierre Gustave Toutant Beauregard was given command of the Confederate Alexandria Line. I mention that only because Beauregard is a name that always makes me smile, though I’ve no idea why. But since he’s popped up here, let me tell you that he was a prominent general during the American Civil War and had several nicknames, including Little Napoleon, Little Frenchman – he was born in Louisiana and didn’t learn to speak English until he went to school in New York, aged twelve – and Felix. Felix? 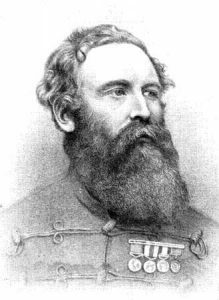 In April 1865, it was Beauregard and his commander, General Joseph E Johnston, who convinced President Jefferson Davis and the remaining cabinet members that the war should end. After the military, he held two posts as an executive on the railroads and used his civil engineering knowledge to patent the design for a cable car in 1869. 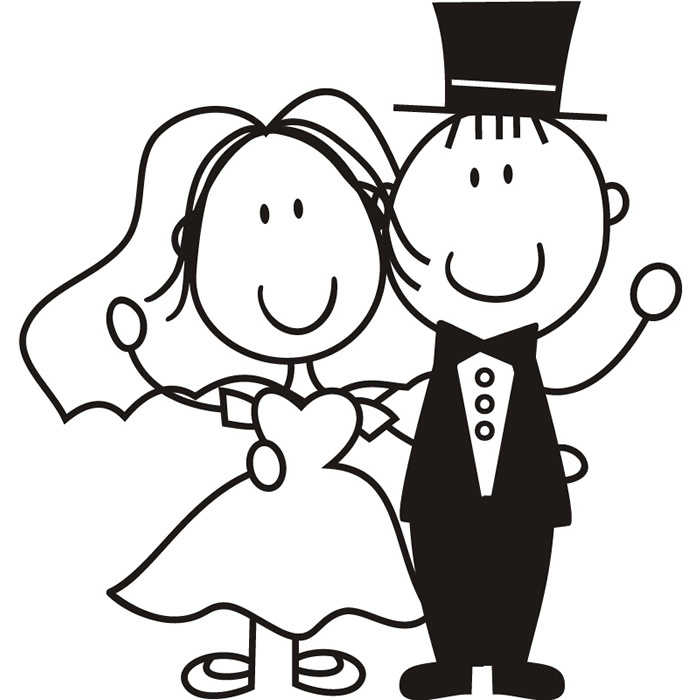 The oldest recorded bride, one Minnie Munro aged 102, wed Dudley Reid 83, at Point Clare, New South Wales in Australia on 31st May 1991 – that’s what you call a toy boy – telling reporters they planned to make the most of the time they would have together. As children, grandchildren and great-grandchildren gathered for the ceremony in the gardens of the couple’s home at Orana Nursing Village, widow Minnie proudly showed off her antique amethyst engagement ring and said, ‘He’s been waiting for me a long time and I am pretty old you know, so I decided to say yes.’ The couple met four years previously at a health centre in nearby Woy Woy. So good they named it twice? It was not such a happy occasion on this day in 2007, when actress Billie Piper and radio DJ Chris Evans divorced after six years of marriage. Billie was born Leian Paul Piper to parents Paul Victor Piper and Mandy Kane Kent (another Kane?!) and is a singer, dancer and actress who played Rose Tyler in Doctor Who from 2005-6. Perhaps attracted by the fact they share the same middle name, she didn’t hang around and married actor Laurence Paul Fox (Hathaway in Lewis) on 31st December 2007. By marriage she became sister-in-law to Richard Ayoade (The IT Crowd) who was newly wed to Laurence’s sister, Lydia. Alas, Billie headed to the divorce courts again – also in May, but the 12th – after eight years and two children. Two Walters were born on this day – Walt Whitman (so called because his father was also Walter), American poet, essayist, and journalist in 1819, and artist Walter Richard Sickert, born in Munich in 1860. When he was eight, the family moved to England and were granted citizenship. Although he was the son and grandson of painters, he initially wanted to be an actor and appeared in small parts with Sir Henry Irving’s theatre company, before going to the Slade School to study art in 1881. After less than a year he left to become a pupil of Whistler, whose influence can be seen in his early work. In his late twenties, Sickert took a keen interest in the crimes of Jack the Ripper. He believed he had lodged in a room used by the serial killer, having been told this by his landlady, who suspected a previous lodger. He produced a painting of the dark, melancholy room entitled Jack the Ripper’s Bedroom which now hangs in Manchester Art Gallery. Author Patricia Cornwell wrote a book in 2002 called Portrait of a Killer: Jack the Ripper – Case Closed in which she names Walter Sickert as Jack. Not wholly original, as Jean Overton Fuller wrote Sickert and the Ripper Crimes in 1990, making the same claim. However in a 2004 article on Sickert, the Oxford Dictionary of National Biography dismissed any allegation that he was Jack the Ripper as ‘fantasy’. So, ladies and gentlemen, I invite you to decide for yourselves. Or not. 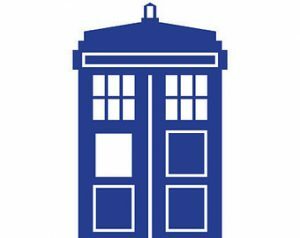 Meanwhile, I’m off in my Tardis to wrong rights and generally make a nuisance of myself. See you in June, perhaps? Thanks, Jenny and toodles, all! Once again- a HUGE thank you for such an excellent blog – and for the previous 23 fabulous blogs!! Very much appreciated. It is no co-incidence that the last day of the month sees more visitors to my web site than any other.